EdTech Help GuidesED206 Internet and Communication TCAHow Do I Complete The Internet And Communication TCA? This article will demonstrate the skills needed to complete the practice TCA and prepare students to take the Internet and Communications TCA. Use advanced search techniques (quotes, "and," "or," etc.) to find a credible resource that helps you answer the following copyright issue in your classroom: For how long after a public TV broadcast can you use the broadcast in your classroom without getting permission from the copyright holder? 1. Using Google as a search engine, enter the question. Feel free to use advanced search techniques by using quotes, "and", "or", etc. Trying to find a credible website can be tricky, below we've listed a few ways to make sure you are using a credible source. 1. Look for listed sources, scholarly articles and books should have cited sources. 2. Check the domain. Domains like .com and .org can be owned by just about anyone. If a website is .edu or .gov it is more likely to be credible. 3. The article should have an author, google the author and check the reliablity of the person who wrote the information on the webpage. 1. The website I chose was a .gov website about copyright. 2. The article was 24 pages, so to quicken my search I used my keyboard holding down the "command" key (or ctrl for PC) and the "F" key to search for key words within the article. 3. Highlight the answer to the question. Find a picture of Martin Luther King Jr.. 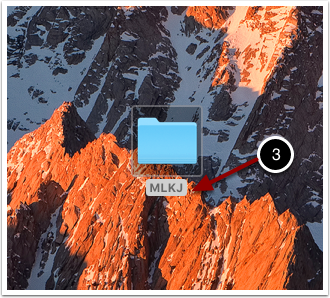 Create a folder on your desktop called "MLKJ." Download the image file and save it to your "MLKJ" folder. 1. 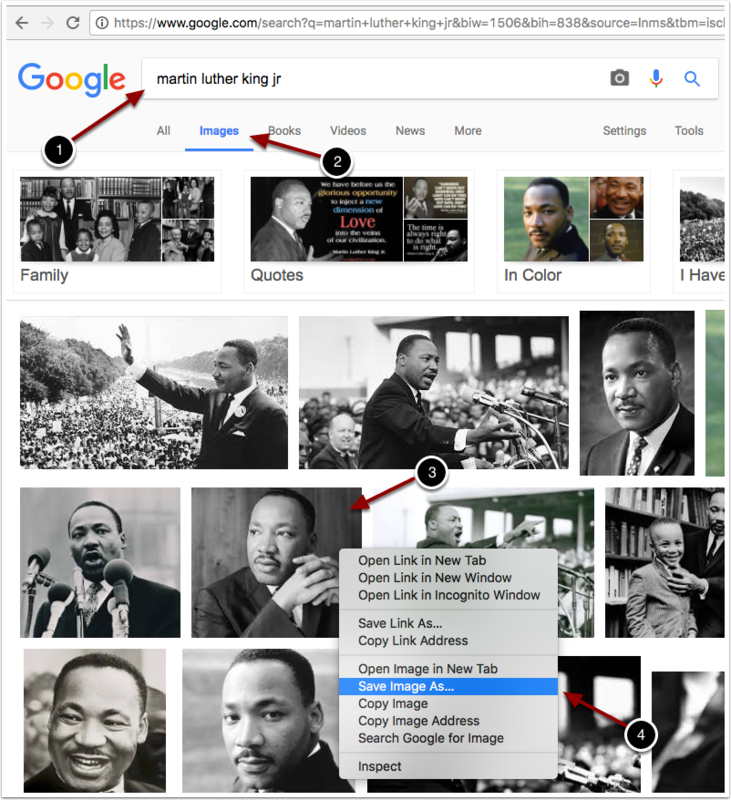 Google search "Martin Luther King Jr."
2. Select the Images option. 3. Right click using your mouse to select any picture of Martin Luther King Jr. that you want to use. 4. Select the Save Image As... option. 1. Type the name of the image. 2. Save the image in the Downloads file. 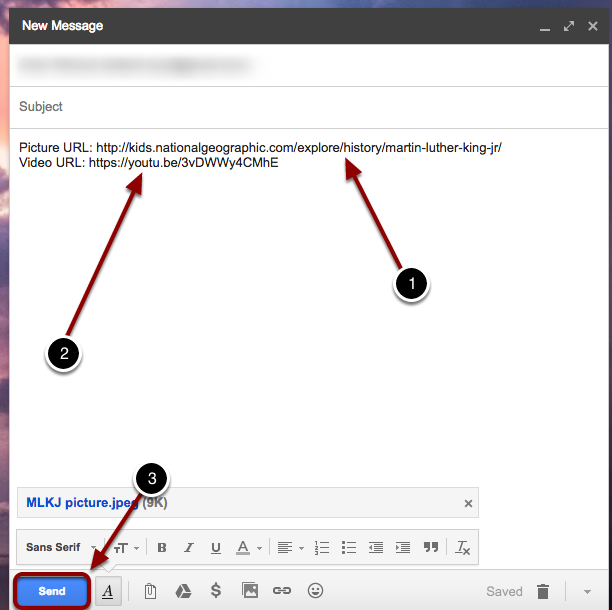 Create a folder on your desktop called "MLKJ." 1. Right click using your mouse on the desktop. 2. 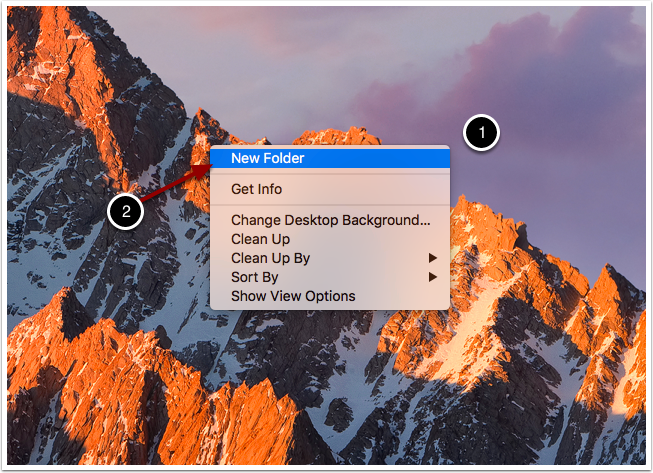 Select the New Folder. 3. 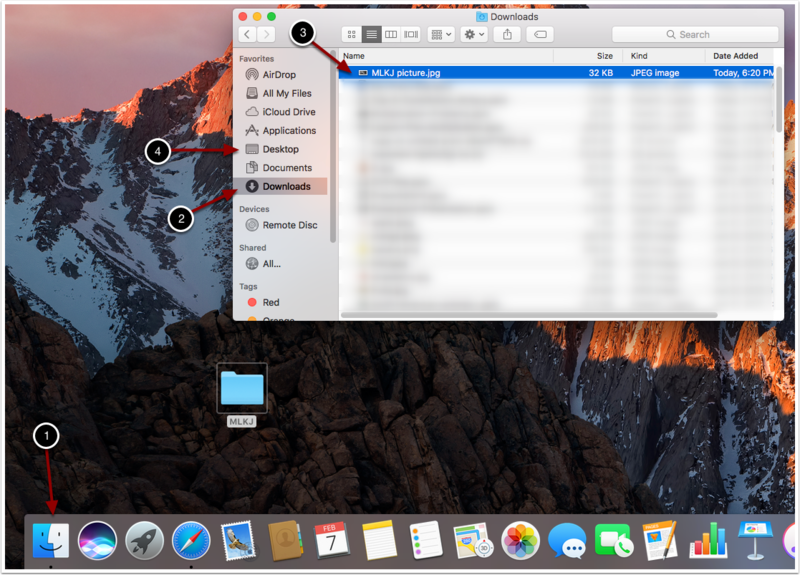 Once the new folder appears on desktop (as shown above) type the name of the folder. Download the image file and save it to your "MLKJ" folder. 2. Select the Downloads option. 3. Left click and hold using the mouse on the image you want to use. 4. Drag the image to the Desktop option. Download the image file and save it to your "MLKJ" folder continued. 1. Select the Desktop option. 2. Left click and hold using the mouse on the image you want to use. 3. 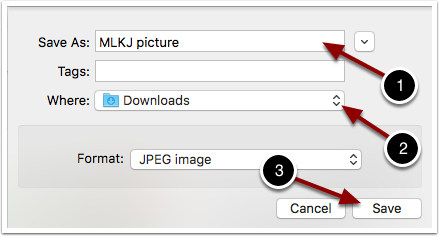 Drag the image to the MLKJ folder. 1. 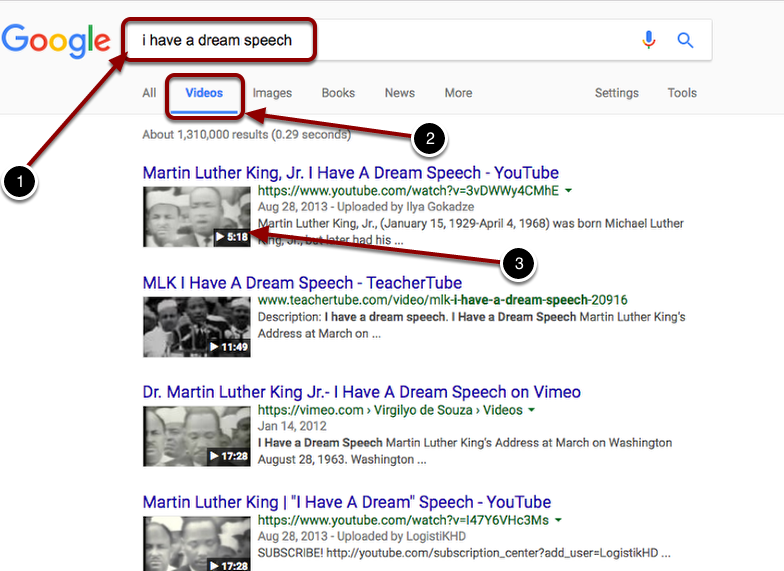 Using google, search for the "I Have a Dream" speech. 2. Select the "Videos" option shown above. 3. Select a video to use. 1. 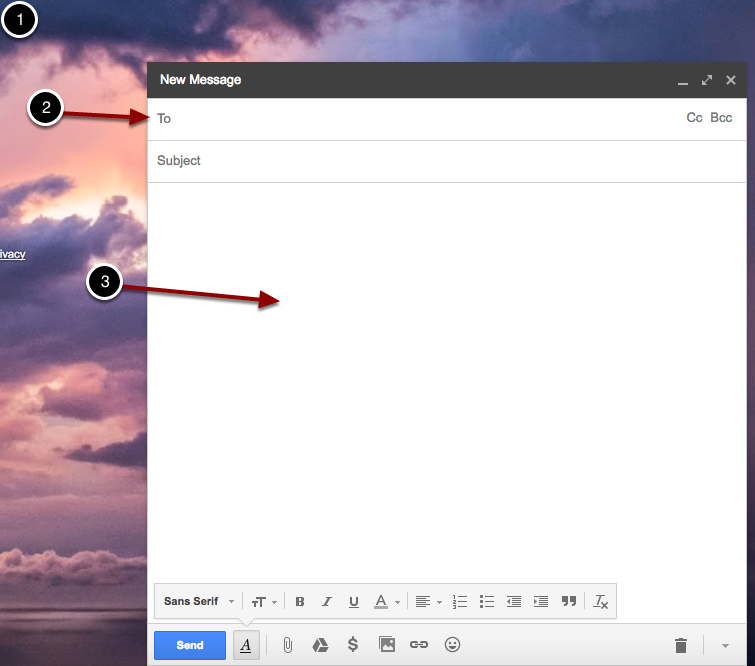 Open your email account and compose a new email. 2. Enter your email into the "To" option. 3. Below is the body of the email. In the email include the picture of Martin Luther King Jr. attached. 1. Select the attach option. 2. Select the image file "MLKJ picture". 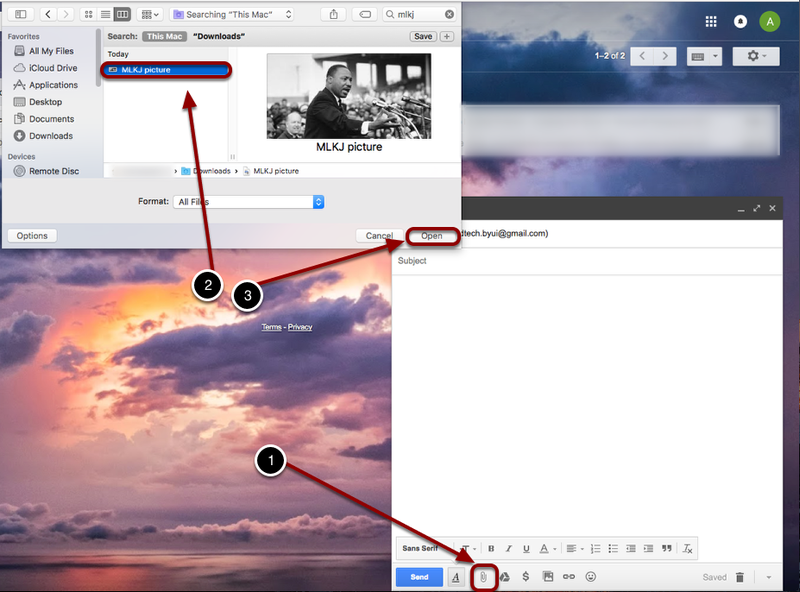 In the body of the email message include the URL to the audio or video clip, and the URL to the picture. 1. Copy the URL for the photo and paste it into the email. 2. 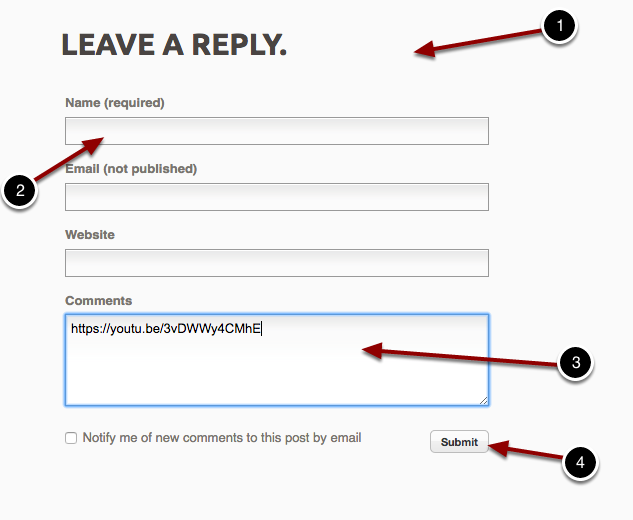 Copy the URL for the video/audio clip and paste it into the email. A lab assistant will come over and see your posts on the discussion board before you sign off. Prev: How Do I Create A Graph In Excel? 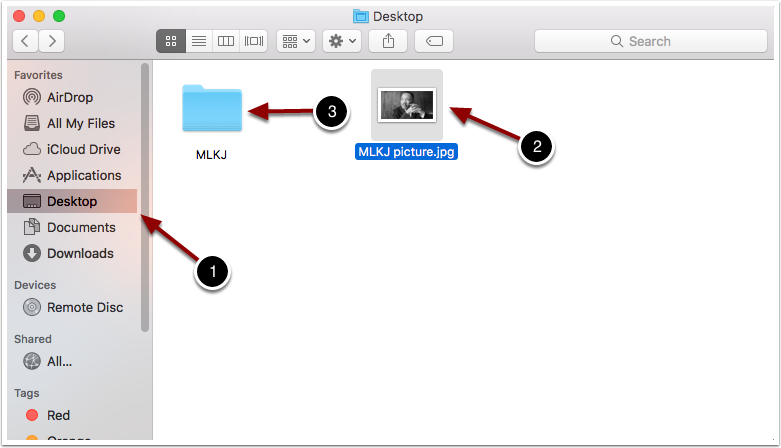 Next: How Do I Create A Folder On My Desktop And Save An Image In That Folder? A step by step guidance is really a useful thing, which is achieved wonderfully by your article. I've been in many websites like Google Support but haven't stuck anywhere close to how I have been sticking to this website... A Brilliant article !! !